The scholarship application for the 2017-2018 is currently unavailable, we apologize for the inconvenience that this may be causing. We are making improvements to the site and hope to have it ready soon. We ask that you continue to stand by and check the website within the next few days. The Scholarship Application for the 2016-2017 school year is now closed and we are in the process of selecting our scholars. Applicants will be notified of their status during the months of June-July. The application for the 2017-2018 school year will open in January 2017. 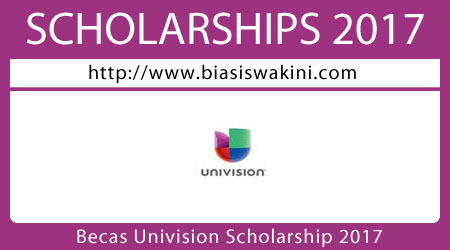 0 Komentar untuk "Becas Univision Scholarship Program 2017"